One in four university students are on courses which are not financially worthwhile for the taxpayer, analysis suggests. Official government data reveals 25 per cent of youngsters are studying for degrees which will produce a negative return for the public purse. In addition, an estimated 18 per cent of students are seeing a negative return on their personal investment, and would be better off had they not attended at all. The findings come in a report by Conservative think-tank Onward, which today urges ministers to curb ‘degree mis-selling’ by greedy universities. Despite course tutors claiming their graduates go on to successful careers, in reality a ‘substantial minority’ never get jobs which pay well. It means they never earn enough to repay much of their student loans, and after 30 years the debt is wiped – with the taxpayer picking up the bill. The report comes amid questions over whether the Treasury should be taking the hit for people doing ‘Mickey Mouse’ courses which are unlikely to lead to rewarding professional jobs. 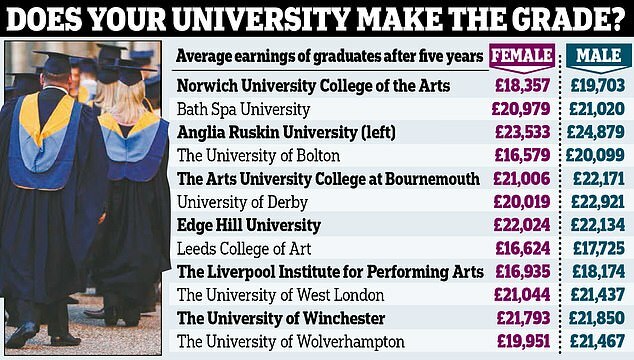 Some courses even produce graduates who earn less than they would be expected to bring in had they not gone to university at all. This year, the Government is due to publish the results of a review of the higher education sector, with a specific focus on fees and value-for-money. Will Tanner, director of Onward, said: ‘Britain’s student loans system is based on the premise that graduates will always earn more than people who do not go to university. ‘But the Government’s own earnings data now clearly shows this is a false promise for up to a quarter of graduates. In the six years since tuition fees rose, at least a million students have graduated from courses who would have been better off doing a technical degree or starting work instead – meaning their loans will have to be written off by the taxpayer in years to come.’ Students are able to borrow money from Whitehall to pay for the £9,250-a-year tuition fees, and in some cases, living costs. Once a graduate begins earning more than £25,000 a year, they pay 9 per cent of their earnings above this threshold for 30 years – or until the loan has been repaid. Onward’s report found that a graduate would have to earn around £120,000 extra over their lifetime to generate a level of repayments and increased tax payments equal to the investment made by the Government. This takes into account the maximum £50,000 loan for tuition and maintenance fees as well as interest accrued on the debt – adjusted for inflation. A quarter of those going to university do not earn this scale of premium – meaning there is a negative return for the government. The report was co-authored by Neil O’Brien MP and Mr Tanner, who is former deputy head of policy to Theresa May. It found that while on the whole graduates earn more than non-graduates, in 2015-16, 40 per cent of graduates were enrolled in courses which led to median earnings of less than the student loan repayment threshold of £25,000 after five years. In addition, 10 per cent of students were enrolled in courses with median earnings of less than £25,000 ten years after they have graduated –equating to 134,000 students each year. The most popular degree subject area is creative arts, with 126,000 students in 2016/17, but the median earning of a graduate is just £23,200 ten years after leaving. By contrast, graduates of economics degrees earned on average £48,000 ten years after graduation, but just 24,000 studied it last year. The report authors suggested courses should only be allowed to charge full fees if they produce a good graduate premium. 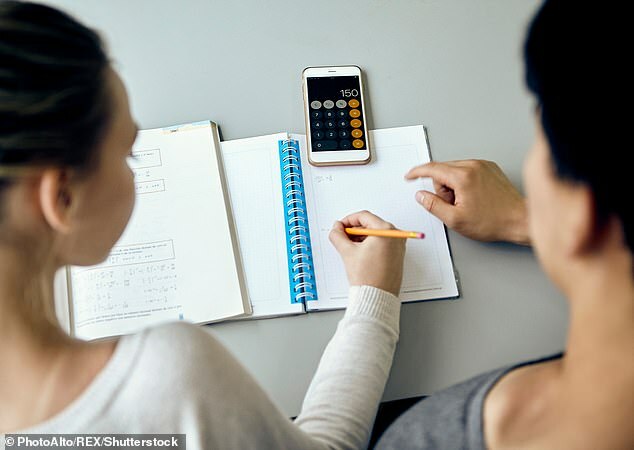 Data suggests 83 per cent of all student loans will never be repaid – with expected write-offs in 2049-2050 of £28.8billion. The Government said its review of post-18 education and funding would ensure value for money for both students and taxpayers.